Im searching for compatible Discs too and found this Thread. It is recommended to buy these Discs from the post above? Remember even with good discs a bad dvd burner can make it impossible to play. Mac for example is actually bad to use, and I had better luck with every other computer in the house (I dont have a dvd writer/reader myself). But yes, those discs are good. i have a dvd burner in my Dell Laptop which i'll try. Otherwise i have an old Samsung Drive from 2004 and a 2 year old Liteon ihas. if somebody needs RITEKG04, i have some tiny spindles left. Sony dvd-r AccuCORE 1.4gb, this didnt work at all! some have different company text but all have same orange / white design. been searching for that geerda disk with no resaults and am a little suspicious against it, very uncommon in my area never seen them. Anyway can peopple link pictures of their 8cm working media please? I want to order a few each and try out which ones work for my cube, atm i got like 20 disks i cant use cos they came in a 10pack could not get single disks i was thinking could it be burning speed my personal burning device could only do x4 as lowest or am not sure is it the disk what cant go under x4 anymore? Possibly I always got dres with these TDKs that I got from Argos. I've found the geerda disc but can anyone verify that it works? As you can order them by the 5000.. If they work then it might be worth doing an order and selling them in packs to gc-forever peeps. I've never had any problems with any type of disc..just make sure you adjust your laser pot. Your computer OS, DVD writer software, and DVD writer itself are also a factor to consider which is usually overlooked as a potential cause for bad burns/DRE. Any guide to make good burns? I usually use IMGBurn and record the discs at 4x. Any recommended hardware as well? Any new ideas to measure the quality of a good burn? Recently tried some verbatim mini's and fail. The ritek no problem as others have said. More surprisingly using alcohol 120 on a pioneer BD drive and all good. For Canadian folks, SourceRite has Philips, ProDisc and Ritek/RiData mini-DVD's (some of which are printable). The prices are pretty good, and not having to pay import and duties helps a lot. Plus, If you don't live in Ontario, you don't have to pay any provincial tax either. I went with the ProDisc ones since they're printable to the hub, and they've worked really well, although I've had to adjust the pot from 326 Ohms to 230 Ohms. Also, the packaging isn't the same as in the pictures, and the MID is that of Mitsubishi discs, but since they're "1st class, archival grade" according to digitalfaq and their production is outsourced to ProDisc, that doesn't worry me. I've tried some cheap Chinese printable media before, and they were absolute garbage. I did manage to get them working, but I had to lower the pot down to 130 Ohms, and no matter what, they'd always skip or throw DRE's whenever the laser reached the end of the disc. Upon closer inspection, I saw that every disc had a similar pattern of scratches on one edge, and taking pictures with a macro lens revealed they were more like tiny columns of air that reached deep into the plastic. Some of the discs even had scratches and speckles all over. anyone have any feedback or input on how reliable this brand is and/or if they are the right or wrong media? Pretty sure I tried those and they were CMCMAG01 (the crappy type). have anybody try to burn mini dvds from a blu-ray burner? 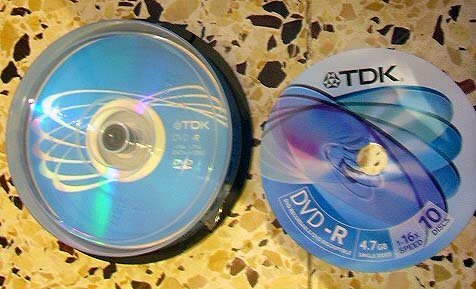 weekendgamer wrote: have anybody try to burn mini dvds from a blu-ray burner? i'm thinking about upgrade my current gaming/workstation pc rig with a blu-ray/dvd burner from samsung. i heard that burning off the blu-ray have better writing then a regular dvd/cd burner does. so far burning "iso" files off my current dvd/cd burner is working good. 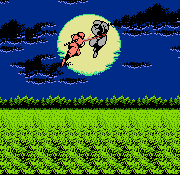 but their is a few issue on certain games i am trying to burn like blood rayne and smash bros. The main reason is that blu-ray writers haven't become cheap built-to-a-price devices yet (as much as DVD Writers are these days), better quality lasers = better quality write.